The most magical time of the month! 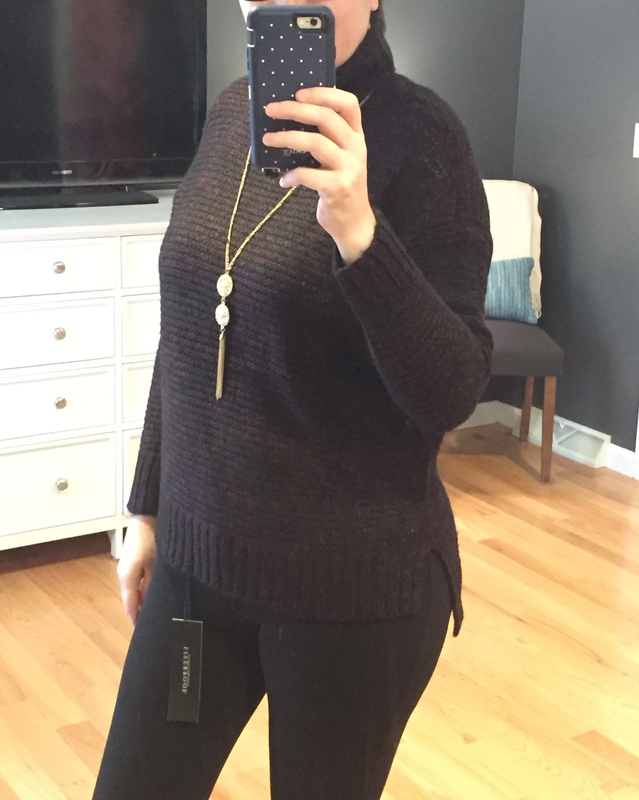 Anyone that has been to my blog knows about my love of StitchFix, a wonderful service that magically delivers clothes to your doorstep. Ok, maybe it is not actually magic…but close. If you have any questions on how the service works, please leave a comment and I will be happy to fill you in! Before I start on filling you in about my latest Fix I wanted to fill you in on two other things. I created a Facebook page dedicated to my StitchFix posts, my other blog posts, and goings-on in my Etsy store. Search for me on Facebook under Chai And Cow and join in on the fun! I have a link-up to a fellow blogger friend below. You can click on the link and go on over to her blog, Crazy Together. She always has great posts! Full disclosure, the clothes in this fix are actually a combination of two separate fixes. I may or may not have gotten two this month (whoops!). 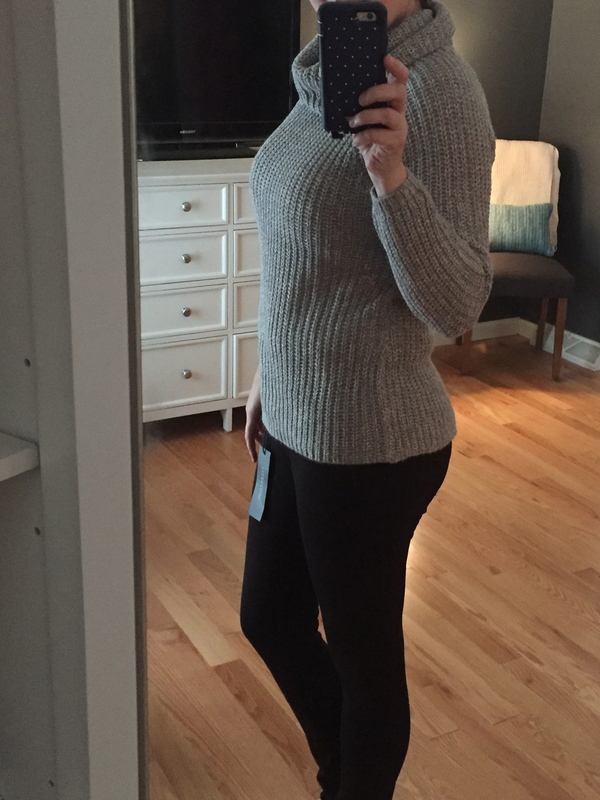 There were a couple pieces I really liked but the fit just wasn’t right so back they went to magical StitchFix land. That is one of the things I love about the service, just how darn easy it is to return things that don’t work for you. For the past two fixes I have asked Teresa to focus on sweaters and pants and she has definitely delivered. Trying to find long pants in always a challenge for me and Teresa has done a great job finding a couple different options. Once I find a style I like, I usually request them in as many colors as she can find! This month she sent me the Liverpool Anita Skinny Pant. LOVE them. They are super long and very comfortable. I knew these were a keeper as soon as I tried them on. They were $78, which I thought was a good price point for these pants and with this particular fix I kept everything so I also got 25% off. Bonus! And in this picture I also have on the RD Style Bliss Cowl Neck Sweater ($78). It is so comfy and warm. I know it will get a lot of good use this winter. Teresa sent me a couple more sweaters and they are both definite keepers. The first is the RD Style Jolee Turtle Neck Sweater in Burgundy ($68). 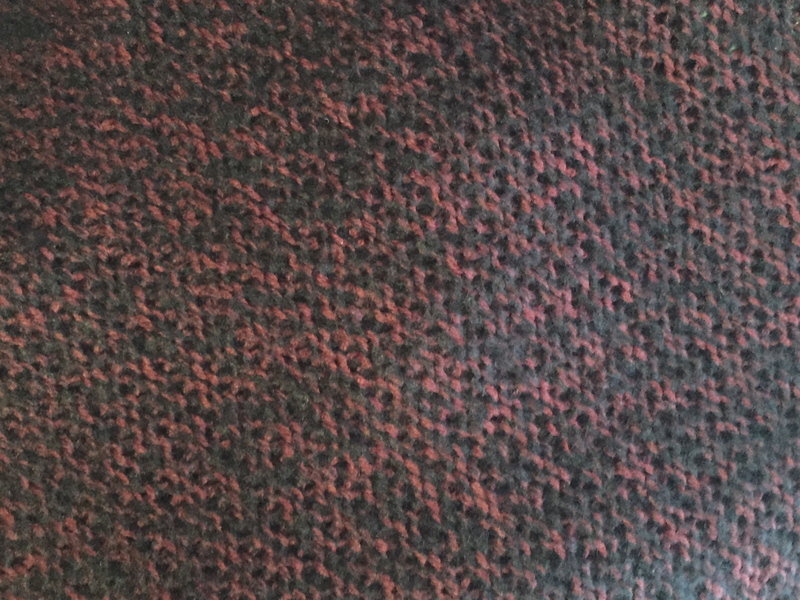 It was a bit tough to get the color to show through in the selfie I took so I took another close-up picture. The necklace is from White House Black Market. 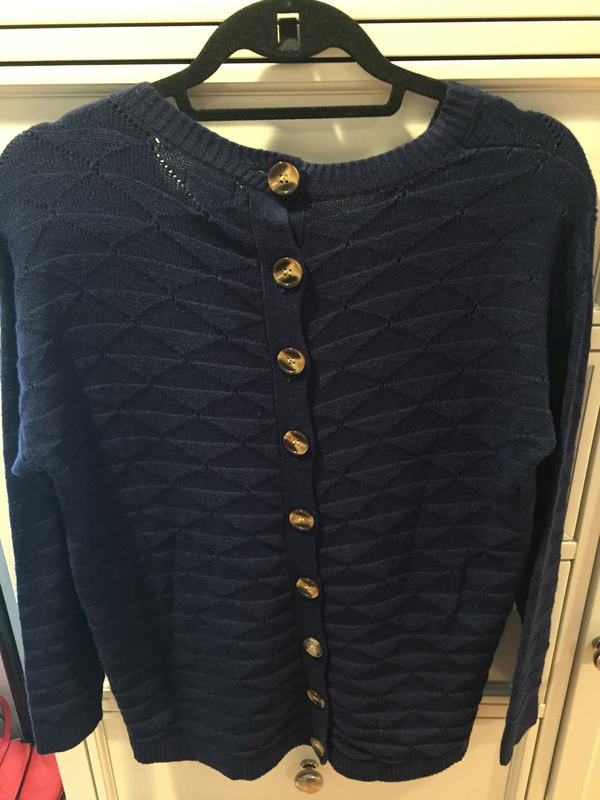 Here is the Pixley Nilia Button Back Sweater ($68). This one has a really interesting back to it that I really liked. Last, but certainly not least, is this awesome bag! Teresa never fails to surprise me with new, fun and interesting bags. 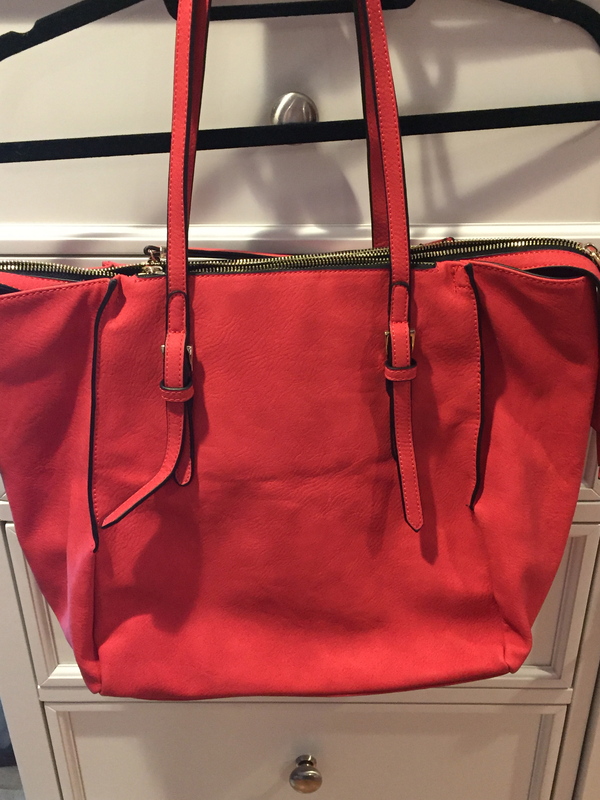 It is the Urban Expressions Amherst Multi-Zip Tote ($68) in RED! I love the color and I don’t have anything like it in my closet so I am very excited about this one. And it is a great size to use as a work bag as well. And look at the inside! Swoon! As promised above here is a link-up to one of my blog friends? 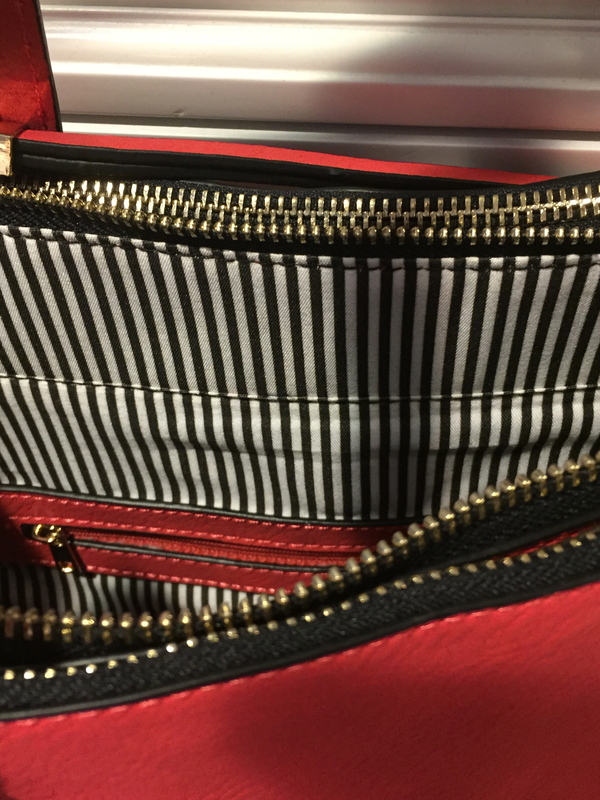 Check out my friend Maria’s post on her latest Fix. And why you are there, take a look around her blog. She has some great posts! I would love to hear from you so please feel free to leave a comment! Til next time! They are so comfortable! I hope you love them as much as I do! I got the navy Nilla sweater and a red satchel in my last fix and it’s a great combo! I love the color of the bag. I don’t know why I didn’t get a red bag sooner! 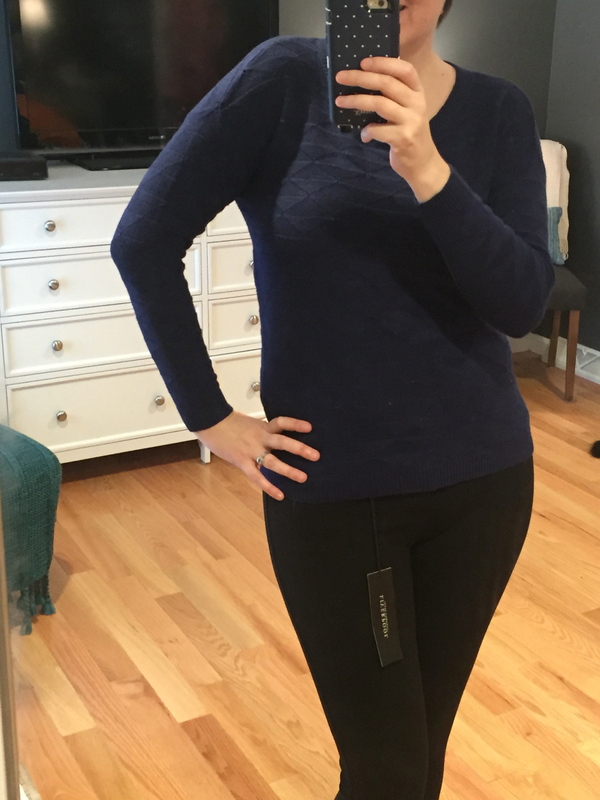 I am hearing such good things about these pants that I’m definitely going to ask for them in my next Fix! Pants that look that stylish and are also comfortable are a rare thing. I completely agree! I was so happy to find them in my Fix. Hope you love them too!